Attend a Town Hall meeting Monday night (10/23/17) at 6:00 pm to find out more about the 2017 Bond. 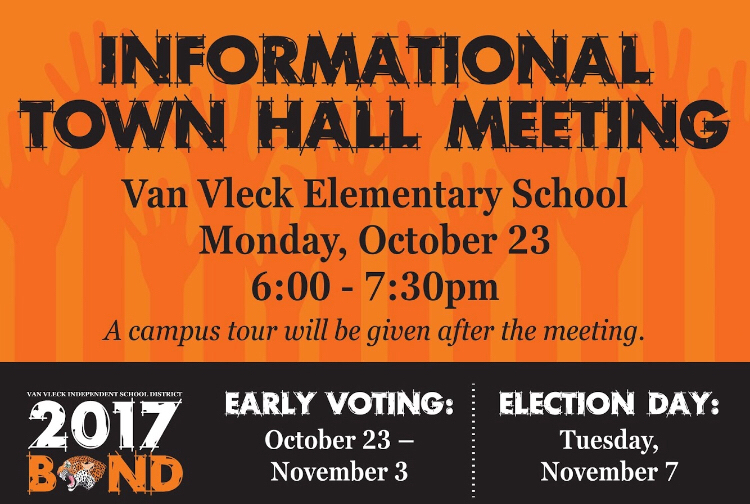 The meeting will be in the Van Vleck Elementary School multipurpose room and will include a campus tour. Hope to see you there.